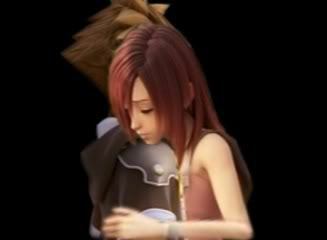 Sora x Kairi. Sora x Kairi. Wallpaper and background images in the 王国之心 club tagged: sora kairi kingdom hearts. This 王国之心 photo contains 肖像, 爆头, 特写镜头, 特写, and 爆头特写. There might also be 袜子, 软管, 吸引力, 感染力, 辣味, 热情, 上诉火辣, 衬裙, 摆振, 移位, 防滑, 泰迪熊, 轻微, 转变, 滑, 泰迪, and 衬衫.